What can you do to reduce straining on the toilet from constipation? If you suffer from constipation, it may be reassuring to know that the use of relaxation techniques and positioning may be helpful in reducing straining while on the toilet and may help to ease your struggle to have a bowel movement. Straining can also lead to developing hemorrhoids and even rectal prolapse. While you can take some steps to reduce straining, it is also good to seek help from your healthcare provider to give you some solutions to prevent chronic constipation. One of your first steps towards reducing straining is ensuring you have been drinking enough water. If you are dehydrated, that will contribute to hard stools and constipation. What type of relaxation technique could you use? One is visualization. Close your eyes and visualize yourself in a calm and beautiful scene such as at the beach, in a garden, or in a forest. Open up all of your senses to imagine what you would be seeing, hearing, smelling, and touching. 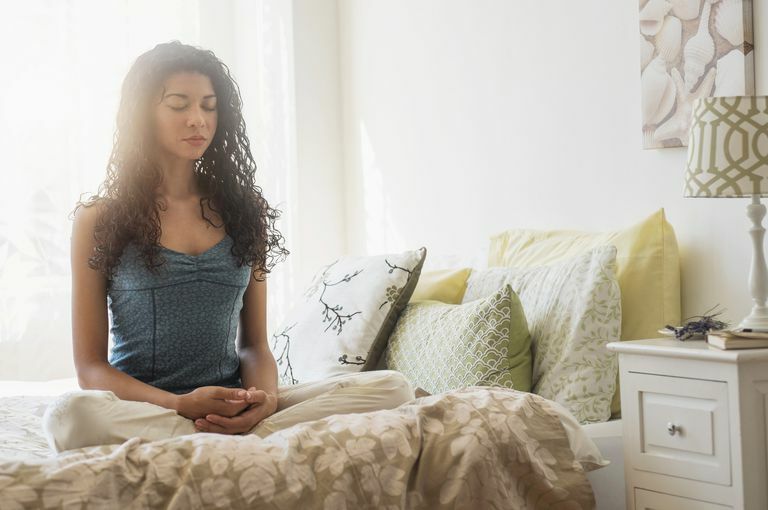 Deep breathing exercises are another relaxation technique. Muscle relaxation exercises, tensing and releasing groups of muscles from head to toe, are yet another technique. You can alternate these three types of relaxation exercise or choose just one or two. For best results, practice your relaxation techniques two to three times a day in a quiet, comfortable place, and then use the techniques to help keep you relaxed while you are sitting on the toilet. Remember that the best time to encourage a bowel movement is in the morning when intestinal contractions are likely to be at their peak. Enjoy a fairly large breakfast, preferably with some fatty foods, to stimulate the gastrocolic reflex. Then make time for a relaxing visit to the toilet. Refrain from straining, and use your relaxation skills to help you to stay calm. Try to visualize the muscles in your intestines contracting in a calm rhythm to comfortably move the stool along. There are some small studies that show that defecating in a semi-squatting position with your knees higher than your hips can reduce straining. In this case, squatting doesn't mean hovering over the toilet but rather being seated on the toilet with your feet propped on a low stool. You are in a seated squatting position with your knees higher than your hips while sitting on the toilet. This position is not recommended if it causes you any pain, or if you are recovering from a hip replacement surgery. There are toilet accessories made for this purpose, or you can use whatever is at hand. The research on this position is not definitive, but you may want to give it a try. You may also try leaning forward when you bear down, as that increases the abdominal pressure without straining. Using relaxation and positioning, you may be able to strain less and reduce your risk of hemorrhoids and prolapse. However, if you have ongoing difficulty with constipation and straining, see your doctor so you can get advice, diagnosis, and treatment. Sakakibara R, Tsunoyama K, Hosoi H, et al. Influence of Body Position on Defecation in Humans. LUTS: Lower Urinary Tract Symptoms. 2010;2(1):16-21. doi:10.1111/j.1757-5672.2009.00057.x.